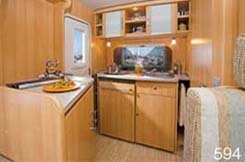 Enjoy the ultimate Motorhome Holiday in Ireland with Erne Campervans. 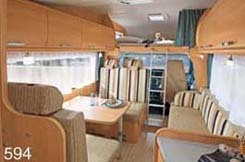 A luxury Motor home and Camper van hire company based in Co Fermanagh, Northern Ireland. ~ Are you Interested in a self-drive holiday in Ireland? ~ Is your ideal holiday one full of adventure, or relaxing on the open road? Then Erne Campervans, a family run business in Co Fermanagh, Northern Ireland, have the solution. Erne Campervans have a wide range of new and used vehicles to suit every family and every holiday. Available to rent or buy, our range of 2-6 berth campervans and motor homes are of the highest specifications and come equipped with full bathroom and shower facilities, sitting and dining areas. With years of experience in Irish tourism, we will give you friendly yet expert advice on the right camper van for you and your family, at guaranteed value for money. At Erne Campervans, we are constantly updating our fleet to offer you the newest and best models for every type of holiday. With airport delivery/transfers, you can start your tour of Ireland in Dublin, Belfast, Knock or at our depot in the beautiful Lakeland county of Fermanagh. Erne Campervans have a wide range of new and used vehicles to suit every family and every holiday. Available to rent or buy, our range of 2-6 berth camper vans and motor homes are of the highest specifications and come equipped with full bathroom and shower facilities, sitting and dining areas. From Enniskillen, follow the signs for Dublin N3. Erne Campervans are located 1½ miles outside Derrylin Village on the N3. From Cavan, take the N3 in the direction of Donegal/Enniskillen. Erne Campervans is located 6 miles from Belturbet, just outside the village of Derrylin. Transfer or Collection from Dublin, Belfast & Knock Airports can be arranged. Please contact Erne Campervans to enquire about One-Ways. All our camper vans and motor homes are available to buy.